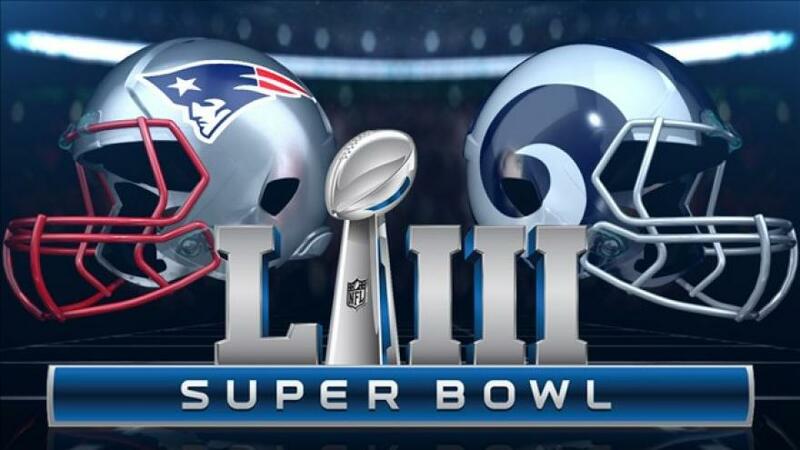 After two thrilling overtime Conference Championship Games, Super Bowl LIII is set to feature a clash between the Los Angeles Rams and the New England Patriots. While the finish of the Los Angeles Rams vs New Orleans Saints game will be discussed for years to come, it was business as usual for the Bill Belicheck led Patriots, who unrelentingly punished a tired Kansas City Chiefs defense in overtime en route to their third straight Super Bowl appearance. A lot has happened in the seventeen years since these two teams last met in Super Bowl 36. That Super Bowl would be the starting point for the dynasty New England Patriots, who have gone on to win four more Super Bowl’s since. Tom Brady is still going strong at 41 years old, and with five rings and four Super Bowl MVP’s, it could be argued that he’s hungrier than ever to add to his legend before time runs out. On the other side of the ball, the Rams have transitioned from the Greatest Show on Turf to a team that struggled to find it’s identity for many years. It wasn’t until they drafted Running Back Todd Gurley in 2015, Jared Goff in 2016, and returned to Los Angeles later that year that the team found their direction. The team made waves when they signed Head Coach Sean McVay at just 30 years old in 2017, and that may very well have been the final piece of the puzzle. The Rams went on to finish with a 13-3 record in 2018, the same record they finished with in 1999, a season that just so happened to end with a Super Bowl victory. Last year we chose our Super Bowl winner by rating the respective team’s rookie cards. Our method of picking a winner did not go so well, as our pick of the Patriots did not come to fruition. This year around, we’ll be rating the team’s offensive skill position and one defensive position by the quality of their signatures found on trading cards. We’ll be using cards featuring highly visible and clean autographs for the sake of a fair review process. For the Wide Receivers group, we’ll be awarding 3 points to each receiver who’s autograph receives our stamp of approval. James White – While technically a running back, James White led the Patriots in receptions in 2018. White’s intentionally smaller autograph shows time and care. We’re awarding a field goal here. Julian Edelman – Julian Edelman has beautiful penmanship, but the glaring problem is that his ‘J’ looks more like a ‘D’, and his last name is marred with issues. The effort is there, and if his name were let’s say, David Iverson, this would absolutely be a points-worthy auto. Chris Hogan – Now here’s a guy who’s doing the best with what he’s got. We appreciate the effort, even if that effort is in the same vein as Billy Madison writing ‘Rizzuto’ on a chalkboard. Kick is up and it’s good! Brandin Cooks – No, the Pats are not cheating, at least not yet. While he caught passes from Brady last season, Brandin Cooks is now catching passes from Goff. He’s also catching points in our contest for the beautiful loops found in his initialized signature. Robert Woods – We really like the route that Robert Woods takes with his auto, with consistent lines, a looping R, and a clever little w that transitions into an S that brings it all together. Three points on the board without question. Cooper Kupp – He can catch passes with the best of them, but Cooper Kupp is a bust with the pen. He’s probably pretty good at drawing up offensive plays on a white board though! Aaron Donald gave offensives nightmares all season long, racking up 20.5 sacks along the way. Devin McCourty has been the model of consistency on an otherwise inconsistent Patriots defense. Both players have vastly contrasting signatures, making this final match up particularly difficult to decide. Devin opts to go full name, but gets lazy on his first name and trails off in areas of his last name. On the other hand, Aaron Donald not only opts for the ‘AD’ approach, but his ‘A’ is far more of a star than it is the first letter of the alphabet. Intentional or not, the swagger is overbearing, because Aaron Donald delivers every bit of what his signature seemingly represents: Star D(efense). Rams 30, Patriots 27. Our painstakingly researched and 100% scientific method of picking a winner has led us to choose the Los Angeles Rams as our favorite to win the Big Game. Regardless of the outcome, we expect Super Bowl LIII to be a match up for the ages as many story lines play out. Speaking of which, we want you to play along at home with us. Be sure to follow our Facebook, Twitter, and Instagram pages where later this week we’ll be giving you three different opportunities to win prizes in our Super Bowl Contests!